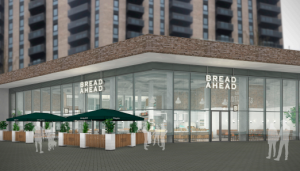 Independent bakery and baking school, Bread Ahead, is the latest retailer to join the line-up at Wembley Park, the £3bn urban development adjacent to the world-famous National Stadium. Delivered by Quintain, the scheme is creating a vibrant retail and leisure offer, with a curated mix of almost 70 new shops, restaurants and services. This is in addition to London Designer Outlet, London’s largest Boxpark and the recently announced Wembley Park Market. 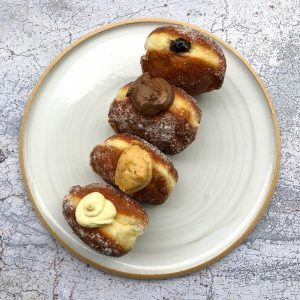 Bread Ahead’s ethos of bringing quality baking and fresh daily produce to the masses will see it open its largest location to date, with a huge 11,000 sq ft, all-encompassing foodie destination set to open its doors to the public this autumn. The site will feature a 220-cover restaurant, deli, baking school and wholesale bakery and will be an enticing retail experience on the world-famous Olympic Way. The latest addition will particularly appeal to Wembley Park’s growing community of renters at Tipi’s beautifully designed, lifestyle-focussed apartments. Quintain’s vision is for Wembley Park to become the largest build-to-rent single site development in the UK, with a full-time residential community of some 20,000 by 2027. The bakery will be located on Olympic Way, adjacent to Tipi’s latest building, Landsby, and near to Alameda, opening in June. Both buildings offer a wealth of experiential activities and exclusive social spaces. Bread Ahead’s customers will be able to see the bread they will eat as it is made and have the opportunity to learn about baking, allowing them to fully engage with the brand. This mixes the traditional craft of baking with the increasing trend for experiential activities that is transforming the current retail landscape. Bread Ahead Wembley Park will be open from 7am – 11pm and will serve up an array of breakfast, lunch and dinner dishes, such as speciality sourdough pizzas, house specials and a variety of desserts. Also on offer will be a selection of grab-and-go items with a strong emphasis on flour from British wheat. This will include some on-site milling of traditional wheats stressing the niche capabilities of the company, positioning it strongly in baker circles. Adding to the community appeal of the area, the brand will bring its renowned Baking School to Wembley Park, hosting a variety of year-round workshops, creating truly immersive experiences. Led by Bread Ahead’s bakery school tutors and offering an insight into artisan baking, the school with capacity for 15,000 students a year, will be an exciting addition to the residential and business community at the 85-acre scheme. Bread Ahead first opened in London’s Borough Market in 2013. This was soon followed by The Bakery School which opened its doors in 2014 with the intention of showing the public how easy it is to bake good quality bread. The brand has since grown with additional branches in Chelsea and Soho. The latest bakery will be located in The Village, one of four distinct new districts being created at the Wembley Park development. The aroma of freshly baked bread will add to the appeal, atmosphere and charm of the area. Bread Ahead joins a Wembley Park line- up which is set to attract over 20 million visitors per year and a retail spend higher than that of Camden, London Victoria and Ealing Broadway once completed. National and international attractions, including Wembley Stadium connected by EE, The SSE Arena, Wembley, Boxpark Wembley Park and seasonal events, will sit alongside Wembley Park’s independent shops and restaurants to create a year-round experiential destination for local workers and visitors. Just 12 minutes from Baker Street, 19 minutes from Kings Cross and 23 minutes from Waterloo, Wembley Park is one of the UK best connected districts and is serviced by the Jubilee and Metropolitan lines, as well as national rail from Wembley Stadium station to Marylebone and out to the Chilterns. Agents for Wembley Park are Nash Bond and Cushman & Wakefield.